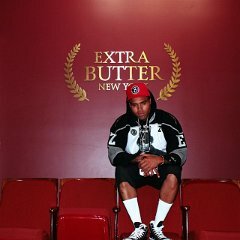 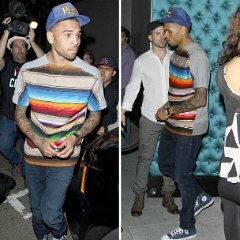 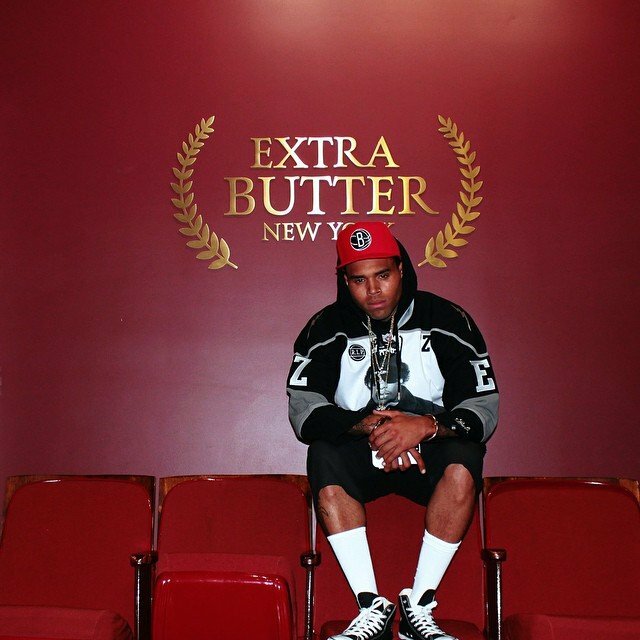 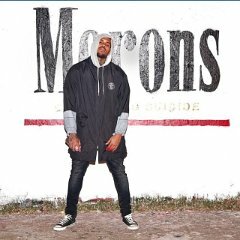 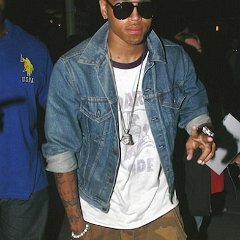 Photo gallery of American singer, songwriter, and actor Chris Brown wearing chucks in casual and posed events. 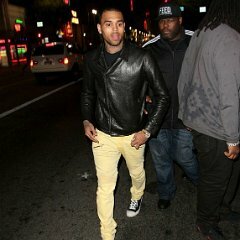 1 Chris Brown Chris Brown wearing black chucks while walking down the street with his entourage. 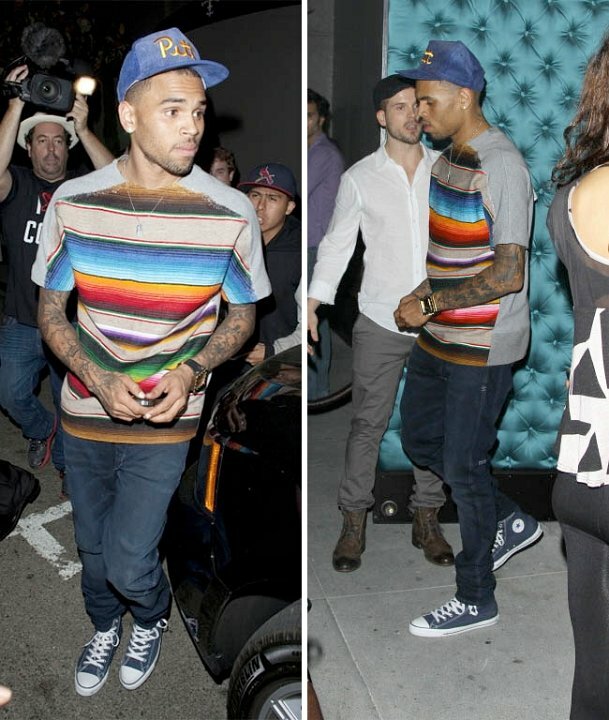 2 Chris Brown Chris Brown spotted wearing grey chucks on the street. 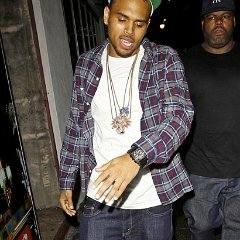 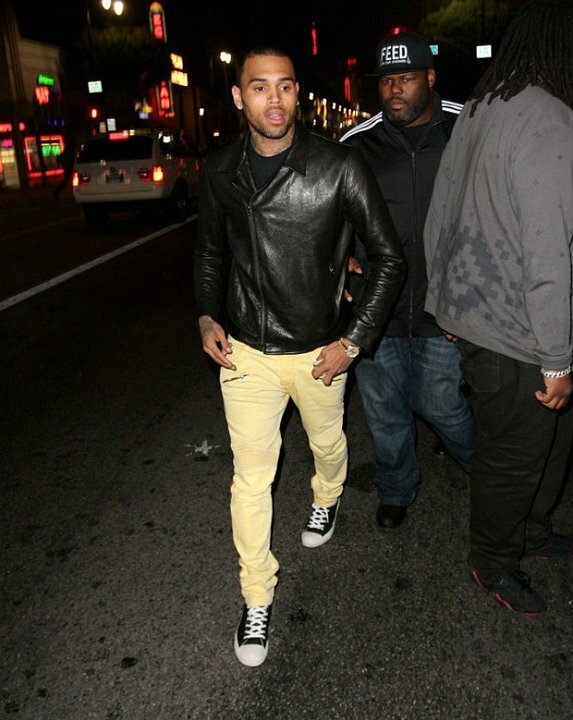 3 Chris Brown Brown wearing optical white chucks while leaving a restaurant. 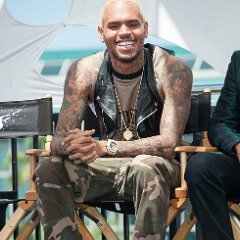 4 Chris Brown Chris Brown wearing black high top chucks while sitting in a director’s chair. 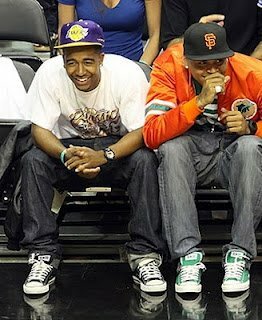 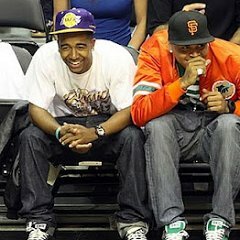 5 Chris Brown Chris Brown wearing green low cut chucks while sitting with fellow R&B singer Omarion, who is also wearing black low cut chucks. 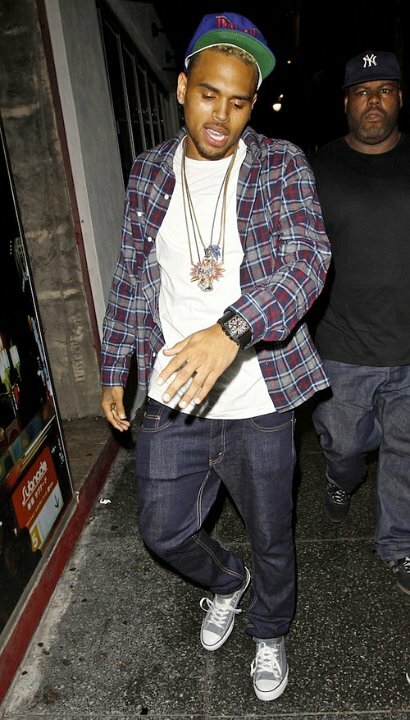 6 Chris Brown Chris Brown rocking black chucks with an all black ensemble. 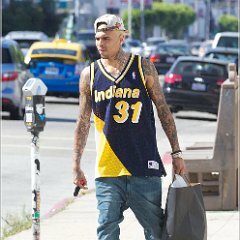 7 Chris Brown Chris Brown wearing blue high top chucks to match his Pittsburgh hat. 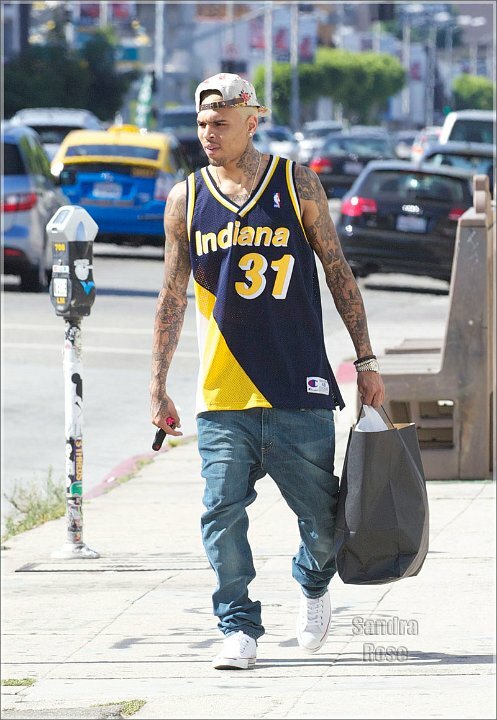 8 Chris Brown Chris Brown in optical white chucks while wearing a Reggie Miller throwback jersey. 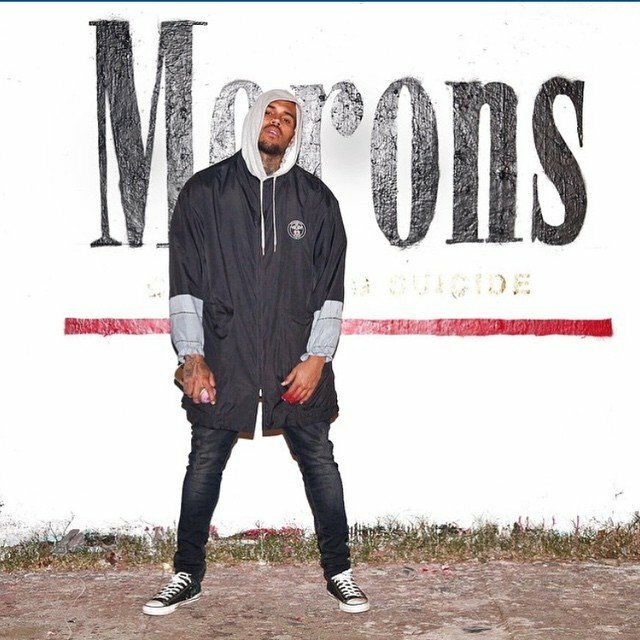 9 Chris Brown Chris Brown in classic black chucks while posing in front of some graffiti. 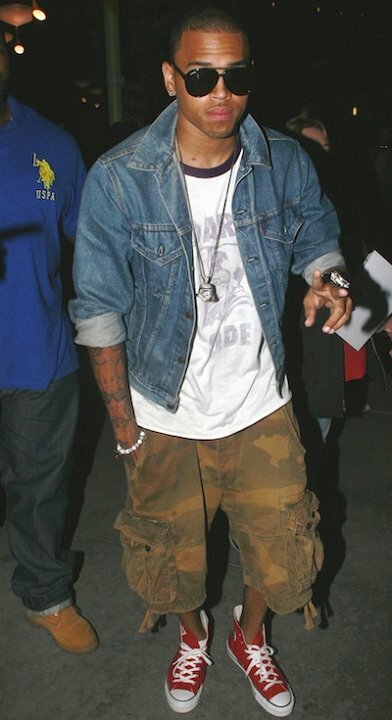 10 Chris Brown Chris Brown wearing red high top chucks. 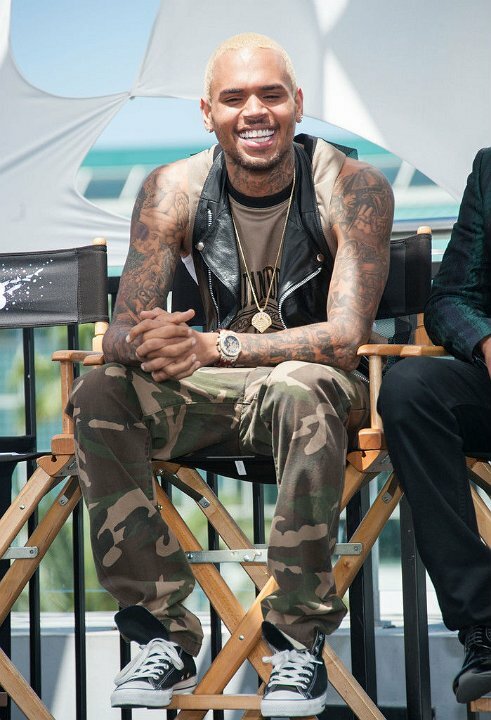 11 Chris Brown Chris Brown poses in black high top chucks. 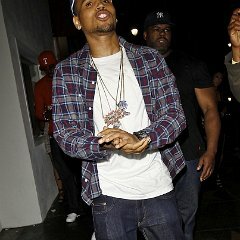 12 Chris Brown Chris Brown pairs grey chucks with his blue and red flannel, and Sonic The Hedgehog chain.